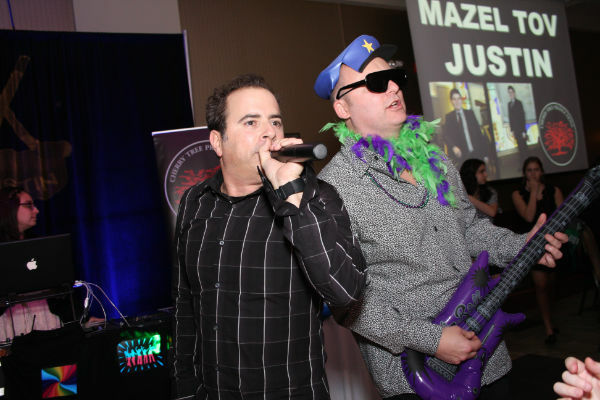 It’s your Bar and Bat Mitzvah and we’re going to make it the most amazing day of your life! Your Bar or Bat Mitzvah party will be remembered as being “The Best Ever!” Picture an incredible light show, streamers falling from the sky, great music and the best entertainment act in the business! 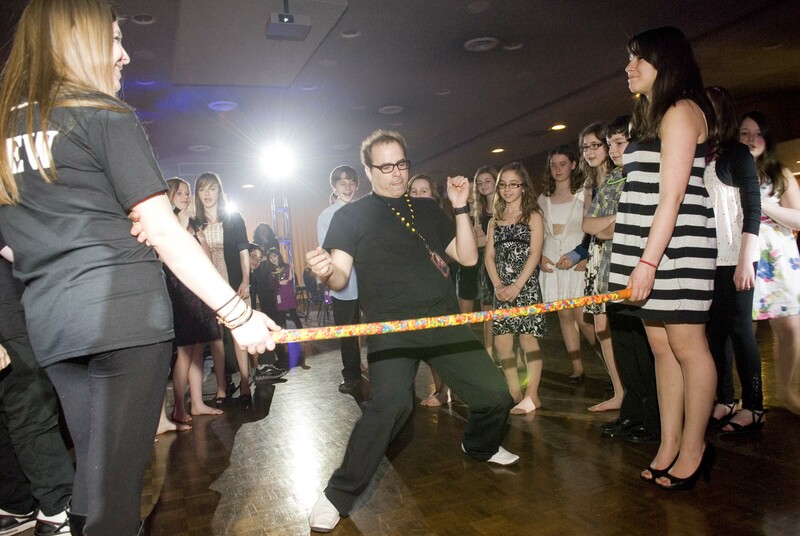 We move the party right into high gear and get everyone to join in the fun! 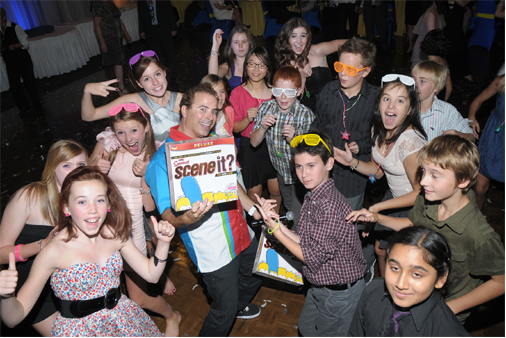 We provide lots of original fun-filled interactive games like the Stuff It, The Balloon Relay, “BIG Ball” Bowling, Mitzvah Trivia, and a pretty cool twist on the hot tv shows…..Dancing with the Stars and Minute to Win it…..
We’ll keep the kids involved with plenty of dancing to the latest, most popular music and entertained for the entire party. 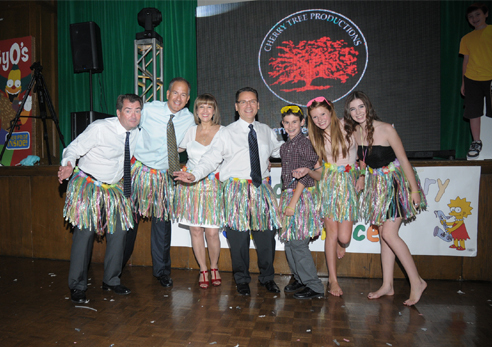 Cherry Tree knows Bar and Bat Mitzvahs …… It’s what we do! We’ve been setting the bar for a very long time. Now Booking for 2019 – 2020! Glow sticks for the kids and adults, some basic prizes for dance contests and one or two grand prizes will get the kids participating in the games and contests as well as get them more involved in the party. Our “LIVE” Video Production is pretty cool. 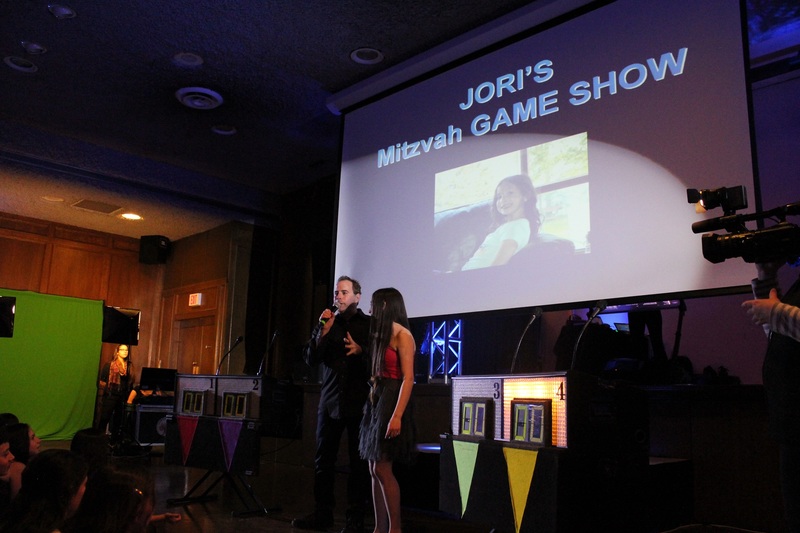 We set up a 6X8 video screen and incorporate “live” video footage of the party up on the BIG screen, some of the latest music videos, and various pictures of the Bar / Bat Mitzvah boy or girl displayed in the form of a Photo Journey DVD Movie. And finally, our Interactive Dancers work the dance floor along with the host, to take the fun to the next level by doing dance demos and teaching your guests various dance moves so they can dance along. These are just a few of our ideas! We have it all so you can just come and enjoy! Cherry Tree Productions specializes in getting everyone dancing from ages eight to eighty. We play a wide variety of music to satisfy all your musical needs. Our experience in the industry has taught us what works at all events and parties like yours. We play what YOU like, incorporating requests and then we add our personal touch to complete the formula. 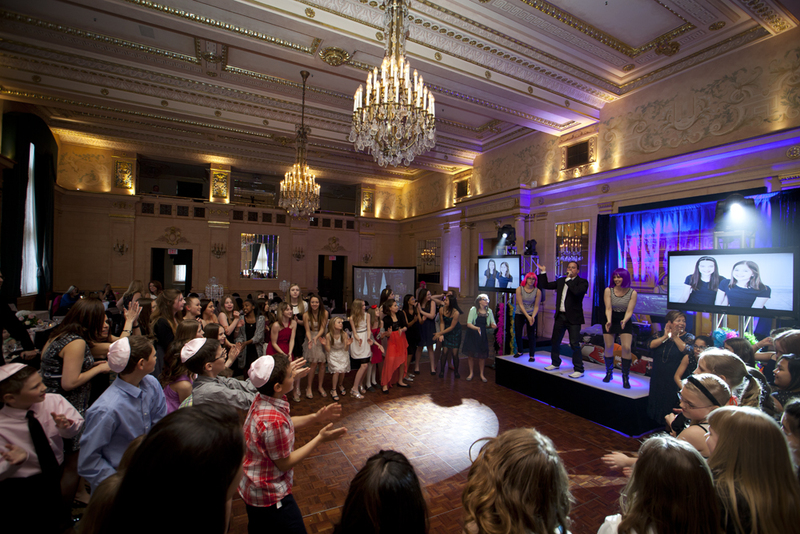 For anyone planning a Bar or Bat Mitzvahs, the challenge has always been finding innovative and unique ways to create an environment full of action, excitement, and energy. From the moment your first guest arrives until the last person goes home, we provide a party atmosphere that will captivate every one of your guests. Entertainment is the most memorable and enjoyable part of your party, we take great pride in making sure it is second to none. Whatever your expectation…. You ain’t seen nothing yet. 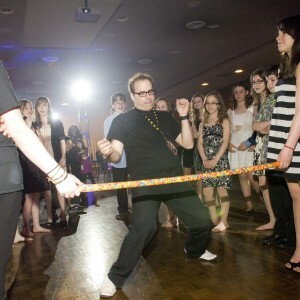 We are committed to excellence, providing unique ways to involve everyone at your party. We will set the stage for the real stars of your celebration… Your Family and Guests! Cherry Tree Productions knows that the secret to a successful party is audience participation. Our entertainers are committed to engaging your guests without being overbearing. PRIZES add to the fun and are a nice touch for the kids and adults. Glow Sticks, Light Up Shirts, Sunglasses, Hats, Body Glitter, Inflatable Mics, Saxaphones and Guitars, L.E.D. Blinky lights and much more….. just use your imagination! These are just some of the components that make up the winning formula that creates the most outrageous, memorable Bar/Bat Mitzvah celebration you, and everyone else, has ever experienced!